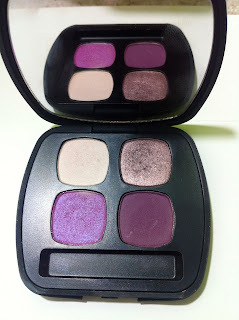 BareMinerals Ready eyeshadows are really beautiful. They have a buttery, soft texture with excellent color payoff, and blend easily on the eye. 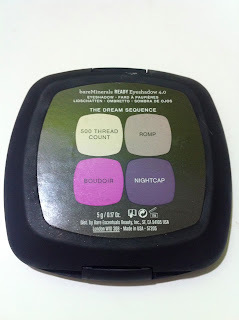 I have had my eye on The Dream Sequence quad for ages since I love purple eyeshadows and finally decided to pick it up. 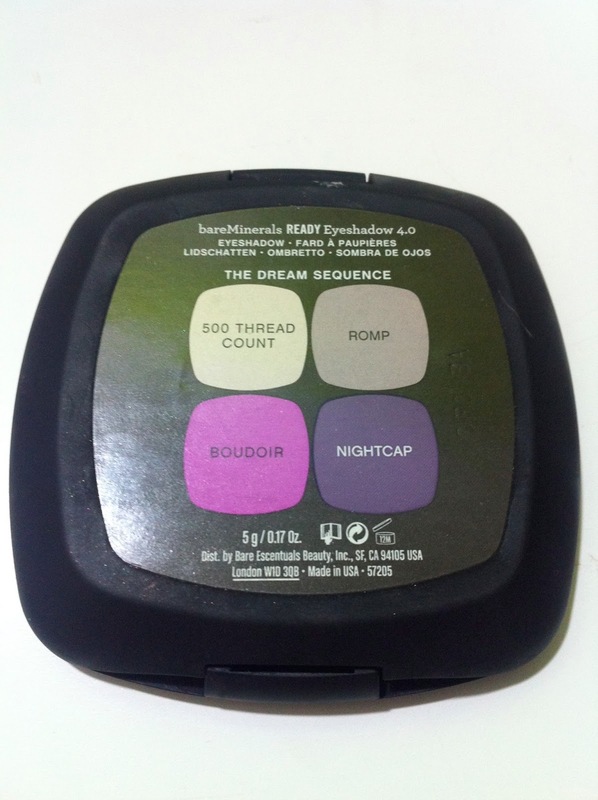 This quad comes with a matte cream white, a shimmering purpley taupe, a bright light duochrome puprle with blue shift, and a matte dark plum. The plum is the sheerest of the bunch, but still performs well on the eyelid. 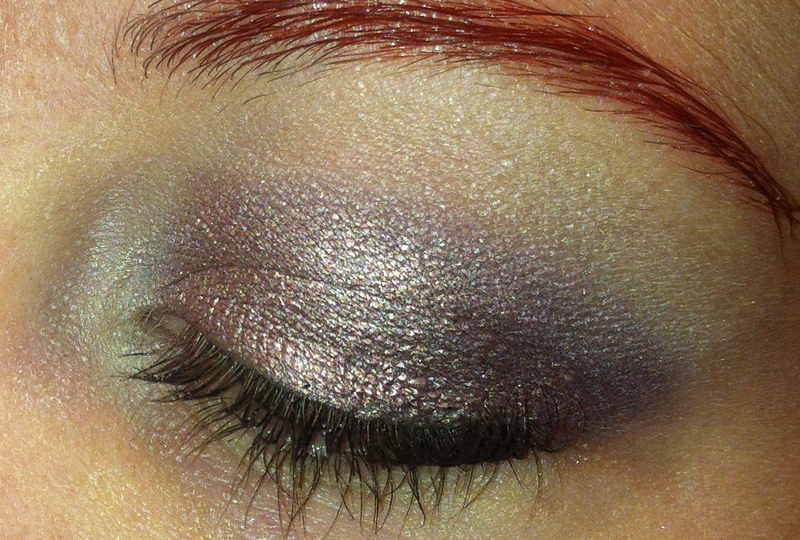 I can get a full day of wear with no creasing or fading with a primer underneath. 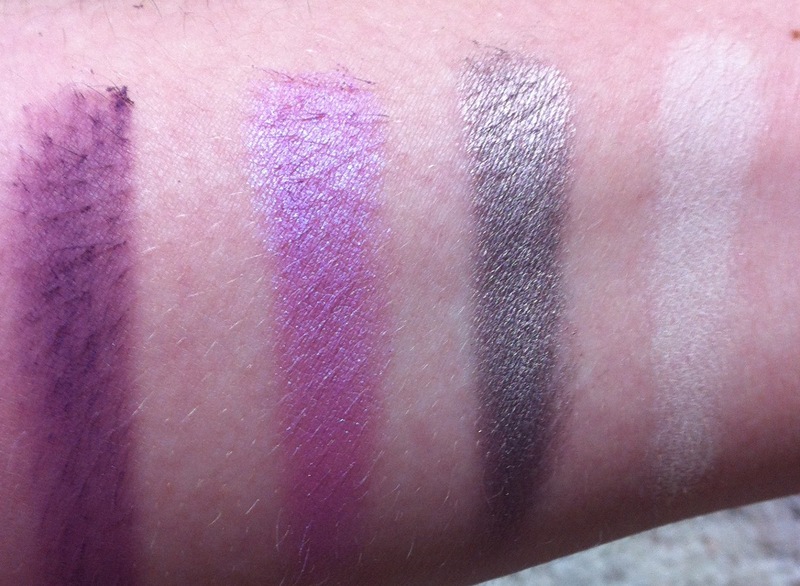 All of the shadows have their own name. 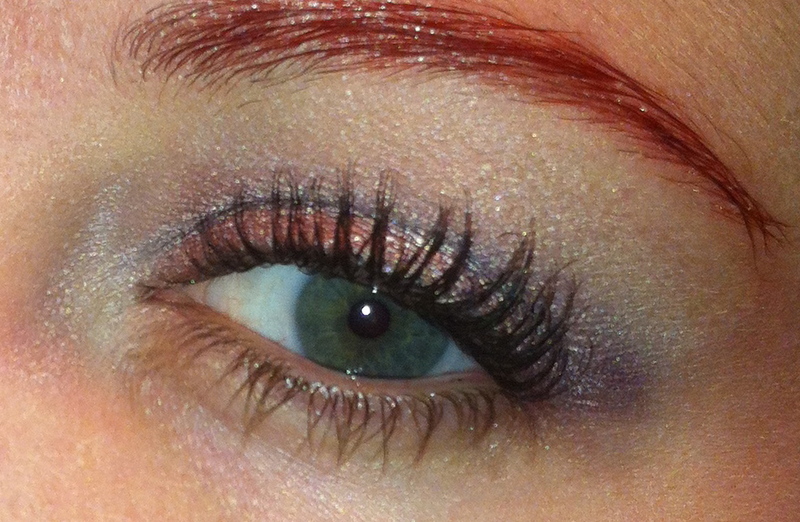 Here is the EOTD I did using the quad.